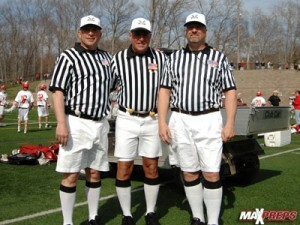 The CIAC Officials’ Association exists to work in concert with school administrators, athletic directors, coaches and the CIAC to advance the best interest of high school athletics, serve the betterment of all member officials and their respective organizations, promote ethical standards, sportsmanship, professionalism, and high quality officiating. If you would like a link to your boards’ website to appear below, please e-mail the name of your board and the URL to jtonelli casciac org (jtonelli casciac org) . A. Membership cards which entitle officials to free admission to regular season contests in all sports, and CIAC tournament games in the sport(s) in which he/she is enrolled. B. Mailing of National Federation Rule Interpretation “Bulletins” and other pertinent information. C. Official representation on all CIAC Sports Committees, the Advisory Board, and the CIAC Board of Control. D. Support in the performance of your duties as an official by CIAC, the governing body for high school athletics that enforces the CIAC regulations pertaining to coaches and athletes and has the authority to sanction member schools. F. Provide the opportunity for officials to be part of the “CIAC Team” and work in concert with administrators, coaches, athletic directors and the CIAC to better serve high school athletics in Connecticut. Perform other functions recommended by you, your fellow officials, or the CIAC Officials’ Association Advisory Board, for the betterment of officials and high school sports. To be an “official friendly” organization, responsive to the needs of officials and their respective organizations. To provide a conduit for an improved communication network between officials, the schools you serve, and the CIAC. To identify issues common to all officials’ groups and develop and implement an action plan to address the concerns. To establish an organizational structure that provides officials with the opportunity to have direct input in the governance of CIAC by having representation, with voting privileges, on all sports committees and representation on the CIAC Board of Control. To have a representative in all sports on an advisory board whose main purpose will be to provide expert council to CIAC for the betterment of officials and to serve the best interests of high school athletics. To have all officials become members of the CIAC Officials’ Association. To provide an opportunity for officials to work collaboratively with school administrators, athletic directors, coaches, and the CIAC staff to better serve athletics in Connecticut. To develop a CIAC Officials website that is linked from the CIAC home page. Officials Forum – Secured Discussion Area for Officials Regarding Rules, Mechanics and Other Officiating Topics. First-class national awards and recognition program acknowledging officials at the state, sectional and national levels. Nominations are submitted to the NFHS by the official’s state high school association. The CIAC uses an online reporting system for game ejections. This simplifies the process for boards to fulfill their requirement to notify the CIAC whenever there is an ejection. Boards are no longer be responsible for notifying the athletic director of the offending school, as the system will automatically notify that school’s A.D. and principal. This also assures that CIAC can identify and deal with repeat offenders and programs. Initiatives of this nature help officials and are well worth the minimal effort it takes to accomplish the task. The official responsible for the ejection/disqualification should complete the form and e-mail it as an attachment to the person whom the board designates to submit their reports to CIAC. The board representative should review the report, make any necessary changes, and then forward to the specially-provided e-mail address so it will become part of the official record. Board representatives should not give the reporting e-mail address directly to their officials. We do not want the game officials sending reports directly to CIAC – it is important that the board representative review the content before it becomes part of the official record. An excellent article that provides tips for completing a detailed ejection report appeared in Referee Magazine and can be viewed by clicking here. In short, the very best advice when completing a report is to just state the facts! Do not editorialize! Soccer officials are required to report all red and yellow cards in games which they officiate. A username and password are required to report, if you don’t know your board’s username and password your assigner can provide it to you).